This past March I attended my first set of Fashion Week shows. To say I was intimidated would be an understatement. The high profiles in first row, the street style photographers in David Pecaut square, and the unknown of what was behind the registration tables was enough to twist my stomach into knots. Seconds after arriving the nerves evolved into excitement and I was left in awe watching some sweet Canadian made talent. 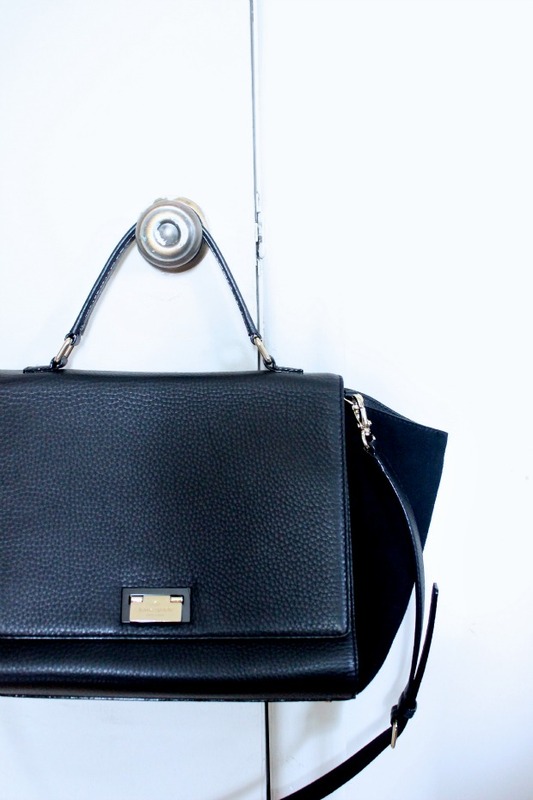 Today is the official kick off to World MasterCard Fashion Week here in Toronto, and to gear up for the shows I am prepping my bag with all the essentials. Last time around I had no idea what I would need and ended up lugging too much miscellaneous items one day, and not enough the next! Here's what I'll be sure not to leave the house without. Phone Charger- Your phone is literally indespensible during Fashion week. Necessary to find people, snap pics, and post to social media. Last time around I had to sneak out of the tent to charge up in the PATH for a few minutes and was so thankful I had my charger with me! Snacks- If you're like me and are perpetually hungry, snacks are another essential for when you are running around and loosing track of time. We may have the luxury of all shows taking place in the same vicinity but there isn't much available in terms of nutrition! Kind bars are my go-to. Lipstick- Obvious necessity. I'll be packing along a bold colour to instantly intensify any outfit. The deep berry shade of MAC's Hang Up is a fall staple for me. Don't forget to bring along a good chap stick. I can't leave the house without one… or two. Water- I don't like to go anywhere without water. On the days that my bag choice will accommodate the size of a bottle, I'll be sure to grab one for the road. Nail polish- I can't stand chipping nail polish. This fall I am loving shades of deep shades of green and blue. 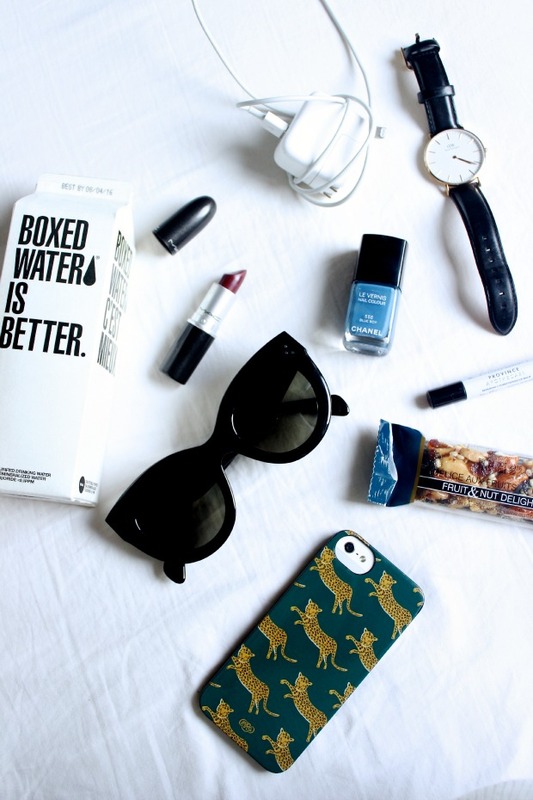 What are your fashion week must haves? Are you heading to any shows? Let me know. I'd love to connect! More from WMCFW here and here. Great post Gabriella! Totally throwing my phone charger in my bag after reading this. Hope you have a great time, and looking forward to bumping into you tonight! Ugh charger. I always forget mine when I need it most! Have you tried the portable charging units? They're pretty awesome! Beautiful photographs and great tips, Gabriella! Enjoy the rest of fashion week!